Samuel Raymond tabulated One Hundred Forty Nine (149) Andover casualties (killed, captured, wounded and disabled) as the result of the Civil War. It is quite important, however, to note that Mr. Raymond compiled these numbers only ten (10) years after the war without the benefit of the research tools we have at our disposal today. Accordingly, it is quite likely that Mr. Raymond’s missed a significant number of Andover casualties. Despite this, the numbers compiled by Mr. Raymond are staggering for a town that had less than 4,800 people as Andover had during the Civil War. Twenty-Six (26) men died as the result of sickness, disease or accident during the war. Raymond accounts for Seven (7) men who were Confederate Prisoners but survived the war. He also accounts for Fifty Six (56) men who were wounded in battle, but survived the war, just under half of whom (24) were wounded at Harris Farm (Spotsylvania) on May 19, 1864 (note that two (2) of the men Raymond identifies as having been wounded spent part of the war as prisoners and are accounted for as above). Below are the names of the men identified by Samuel Raymond with brief descriptions of each soldier taken from “The Record of Andover During the Rebellion.” Although Mr. Raymond undoubtedly was unable to account for Andover men who served in other regiments or for other states, the descriptions of these men and their injuries should give us pause. Included in this group of men are Seven (7) men who lost a limb. There are numerous men who survive the war only to die shortly thereafter from injuries and diseases contracted during the war. And there is no accounting for the psychological damage the war did to so many of these men given that issues such as post traumatic stress disorder were not fully understood and given that the subject of suicide was not discussed (for example, see the description for Joseph Bell – “Found dead in the woods near Lawrence, Sept. 22, 1865”). Twenty Nine (29) Andover men were injured at Spotsylvania (not including those mortally wounded). To put these numbers in perspective, one might extrapolate how many Andover men might be casualties if the Civil War were to be re-fought today. Two Hundred One (201) Andover citizens who were injured on one day (not including those mortally wounded). It is extremely difficult for a person today to understand just how much Andover and its citizens were devastated by the Civil War. Numbers do not put into proper perspective the anguish and the void left in the wake of so much death, dismemberment, and psychological trauma. Numbers cannot describe the darkness that descended on so many families, loved ones and friends when they learned that someone close to them had died or was wounded beyond repair. “You do not forger those days, those awful days. I was but a lad not yet in my teens, and I do not forget them. Here in the home of my childhood, surely you will permit me to let a bit of personal history recall you to the scene that was enacted in so many a [ ] home in those cruel days. Then, for the first time in my life, I heard a strong man weep and sob aloud in the bitterness of grief. Then, in a few moments, the door opened and the bluff, plain spoken neighbor entered. How the atmosphere of sorrow tones down his high-pitched voice and softens his rugged features. I had never heard Captain Chandler speak except when it did not seem that he could be heard from a quarter to half a mile. AIKEN, SAMUEL. Son of James and Catherine, born in Dundee, Scotland, Jan. 17, 1826. Mustered, July 22, 1862. Private, Co. H., 1st Heavy Artillery. Re-enlisted in the field, Feb. 29, 1864. Killed in battle at Spotsylvania, May 19, 1864. Buried on the battlefield. CUTLER, GRANVILLE K. Son of William and Amelia, born in Framingham, June 14, 1839. Mustered, July 5, 1861. Private, Co. H., 1st Heavy Artillery. Killed, May 19, 1864, in battle at Spotsylvania. Buried on the field. EASTES, JAMES H. Son of James and Mary, born in Dover, N.H., July 26. 1839. Mustered, July 22, 1862. Private, Co. H, 1st Heavy Artillery. Re-enlisted in the field, Feb. 29, 1864. Killed, in battle at Spotsylvania, May 19, 1864. Buried on the field. FARMER, EDWARD Son of Silas and Anna B., born in Andover, June 16, 1839. Mustered, July 5, 1861. Private, Co. H., 1st Heavy Artillery. 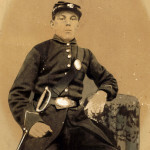 Promoted Sergeant, March 11, 1863. Reenlisted in the field, Dec. 5, 1863. Killed in battle at. Spotsylvania, May 19, 1864. Buried on the field. HOLT, JONATHAN A. Son of Solomon and Phebe A., born in Andover, April 7, 1841. Mustered, July 22, 1862. Private, Co. H., 1st Heavy Artillery. Killed, in battle at Spotsylvania, May 19, 1864. Buried on the field. RIDLEY, CHARLES. W. Son of Amos and Tabitha R., born in Lynn, Aug. 11, 1842. Mustered, July 22, 1862. Private, Co. H., 1st Heavy Artillery. Re-enlisted in the field, Feb. 29, 1864, to the credit of Charlestown. Killed, May 19, 1864, in battle at Spotsylvania, Va. Buried on the field. ROTHWELL, JAMES H. Son of George and Elizabeth, born in Andover, Aug. 31, 1842. Mustered, July 22, 1862. Private, Co. H., 1st Heavy Artillery. Killed, May 19, 1864, in battle at Spotsylvania, Va. Buried on the field. BARNARD, CHARLES P. Son of Hermon and Elizabeth, born in Andover, Oct’ 25, 1844. Mustered, Aug. 7, 1862. Private, Co. H., 1st Heavy Artillery. Captured by the rebels in battle at Spotsylvania, May 19, 1864. Paroled, and died at Annapolis, Md., Dec. 2, 1864, from privation while a prisoner of war at Andersonville, Ga. Buried in West Parish Cemetery. BRYANT, EPAPHRUS K. Son of Thomas J. and Cordelia M., born in Lee, Maine, April 26, 1827. Mustered, July 5, 1861. Private, Co. H., 1st Heavy Artillery. Wounded in battle at Spotsylvania, May 19, 1864. died, at Mount Pleasant Hospital, Washington, D. C, July 3, 1864. Buried, at New Market, N. H.
FARNHAM, SAMUEL P. Son of Samuel P. and Olive T., born in Andover, March 25, 1837. Mustered, July 5, 1861. Private, Co. II.. 1st Heavy Artillery. Re-enlisted in the field, Dec. 11, 1863. Promoted, Corporal. Discharged, July 31, 1865, as Supernumerary. Wounded in battle at Spotsylvania, May 19, 1864. Died at Andover, Jan. 12, 1866, of disease contracted in the service. Buried in South Cemetery. LOVEJOY, HENEY L. Son of Augustus and Mary, born in Boxford, Feb. 27, 1843. Mustered, July 5, 1861. Private, Co. H., 1st Heavy Artillery. Promoted Corporal. Re-enlisted in the field, March 21, 1864, to the credit of North Andover. Wounded severely in the face in battle of May 19, 1864. Discharged, July 31, 1865, as supernumerary. Died from the effects of a ball or shot that remained in his head. ABBOTT, EDWARD P. Son of Henry and Lucy T., born in Andover, Oct. 17, 1833. Mustered, July 22, 1862. Private, Co. H., 1st Heavy Artillery. Re-enlisted in the field, Feb. 29, 1864. Wounded in the hand. Discharged for disability, Oct. 25, 1864. BELL, CHARLES H. Son of Peter and Mary, born in Andover, June 15, 1831. Mustered, Aug. 5, 1862. Private, Co. H., 1st Heavy Artillery. Discharged, July 8, 1864, by expiration of service. Lost right arm in battle at Spotsylvania, May 19, 1864. CHEEVER, SAMUEL. Son of Samuel and Sarah, born in Andover, April 11,1824. Mustered, Feb. 22, 1862. Private, Co. H., 1st Heavy Artillery. Captured, at the battle of Spotsylvania, May 19, 1864. Paroled, at Andersonville, Ga. Discharged, Feb. 23, 1865. COSTELLO, JAMES. 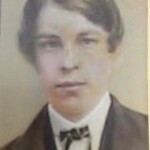 Son of Edwin and Bridget, born in Belfast, Ireland, July 12, 1844. Mustered, July 5, 1861. Private, Co. H., 1st Heavy Artillery. Discharged, July 8, 1864, by expiration of service. Wounded in battle, May 19, 1864. 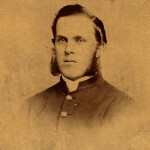 CUSICK, JOHN Son of Michael and Hannah, born in Brookline, March 27, 1838. Mustered, July 5, 1861. Private, Co. H., 1st Heavy Artillery. Re-enlisted in the field, Dee. 4, 1863, to the credit of Brookline. Transferred to Veteran Reserve Corps. Severely wounded at Spotsylvania, May 19, 1864. EDWARDS, FRANCIS W. Son of Frank A. and Tryphenia, born In Dover, N. H., Feb. 17, 1843. Mustered, July 5, 1861. Private, Co. H., 1st Heavy Artillery. Wounded, and lost right leg in battle at Spotsylvania, May 19, 1864. Discharged July 8, 1864, by expiration of service. GILCREAST, DAVID B. Son of Samuel and Betsey, born in Andover, Feb. 1, 1837. Mustered, July 5, 1861. Private, Co. H., 1st Heavy Artillery. Re-enlisted in the field, Jan. 3, 1864. Promoted Corporal. Discharged, Aug. 16, 1865, by expiration of service, in Co. B. Wounded in the neck, May 19, 1864. HARDY, JOHN, 2d. Son of Isaac M. and Sybil W., born in Andover, May 7, 1837. Mustered, July 5, 1861. Private, Co. H., 1st Heavy Artillery. Discharged, July 8, 1864, by expiration of service. Wounded, lost a finger, May 19, 1864. HATCH, ANDREW J. Son of Ezra and Tamnah, born in Burlington, Aug. 20, 1833. Mustered, July 5, 1861. Private, Co. H., 1st Heavy Artillery. Re-enlisted in the field, Dec. 11, 1863. Wounded, May 19, 1864. Deserted* July 30, 1865, from Co. B., at Fort Bunker Hill. HAYES, JOHN, Jr. Son of John and Nancy, born in Roxbury, March 15,1844. Mustered, March 17,1862. Private, Co. H., 1st Heavy Artillery. Discharged, July 8, 1864, by expiration of service. Wounded, May 19, 1864. JENNINGS, WILLIAM E. Son of Alexander and Clarissa, born in Cambridgeport, Nov. 29, 1844. Mustered, July 5, 1861. Private, Co. H., 1st Heavy Artillery. Wounded, at Spotsylvania, May 19, 1864. discharged, July 8, 1864, for disability. MEARS, CHARLES. Son of Daniel and Mary, born in Andover, July 17, 1838. Mustered, July 5, 1861. Private, Co. H., 1st Heavy Artillery. Discharged, July 8, 1864, by expiration of service. Lost right arm in battle at Spotsylvania, May 19, 1864. MORGAN, DAVID S. Son of David and Roxanna, born in Johnson, Vt., Jan. 24, 1835. Mustered, Aug. 22, 1862. Private, Co. H., 1st Heavy Artillery. Wounded, May 19, 1864. Discharged, July 8, 1864, by expiration of service. MORSE, WILLIAM B. Son of John C. and Catherine, born in Andover, Sept. 14, 1841. Mustered, July 5, 1861. Private, Co. H. 1st Heavy Artillery. Discharged, July 8, 1864, by expiration of service. Slightly wounded at Spotsylvania, May 19, 1864. Lost left leg at Bryant’s Farm, near Petersburg, Va., June 16, 1864. NOLAN, MALACHI Son of John and Bridget, born in Galway, Ireland, Aug. 21, 1833. Mustered, July 30, 1862. Private, Co. H., 1st Heavy Artillery. Wounded, May 19, 1864. Discharged, July 8, 1864, by expiration of service. PIKE, GEORGE E. Son of Willard and Mary, born in Lowell, Jan. 3, 1835. Mustered, July 5, 1861. Private, Co. H., 1st Heavy Artillery. Promoted Corporal, March 1, 1862. Wounded, May 19, 1864, at Spotsylvania. Discharged, July 8, 1864, by expiration of service. RUSSELL, AUGUSTINE K. Son of John G. and Hannah, born in Bradford, June 24, 1820. Mustered, July 29, 1862. Private, Co. H., 1st Heavy Artillery. Re-enlisted in the field, Jan. 4, 1864. Discharged, June 2, 1865, for disability. Wounded, lost a foot, at Spotsylvania, May 19, 1864. SARGENT, JOHN S. Son of John and Margaret, born in Brooklyn, N.Y., July 21, 1841. Mustered, July 5, 1861. Private, Co. H., 1st Heavy Artillery. Promoted Corporal, Aug. 21, 1861. Promoted Sergeant, Feb. 6, 1862. Re-enlisted in the field, Dec. 7, 1863. Promoted 1st Sergeant. Wounded, May 19, 1864. Discharged, July 31, 1865, as supernumerary. SMITH, PETER D. Son of Peter and Esther H., born in Andover, Aug. 24, 1842. Mustered, July 5, 1861. Corporal, Co. H., 1st Heavy Artillery. Promoted Sergeant, Feb. 16, 1862. Promoted 2d Lieutenant and assigned to Co. G., Aug. 3, 1863. Wounded, lost two fingers at Spotsylvania, May 19, 1864. Discharged, for disability, Aug. 1, 1864. 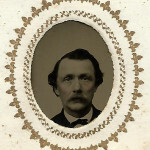 TRULL, CHARLES P. Son of John and Mary, born in Andover, July 18, 1842. Mustered, July 21, 1862. Private, Co. H., 1st Heavy Artillery. Re-enlisted in the field, Feb. 29, 1864. Wounded at Spotsylvania, May 19, 1864. Discharged, Aug. 16, 1865, by expiration of service, in Co. B.
BAILEY, GEORGE A. Son of Joseph and Lucy, born in Andover, May 11, 1843. Mustered, Oct. 22, 1861. Private, Co. A., 26th Regiment Infantry. Re-enlisted in the field, Jan. 1, 1864. Killed, Sept. 10, 1864, at Winchester, Va. Body not recovered. BERRY, ISRAEL A. Son of Israel and Serena, born in Middleton, June 16, 1827. Mustered, Aug. 29, 1861. Private, 2d Co. Sharpshooters. Discharged, Aug. 8, 1862, for disability. Re-enlisted in 5th Regiment New Hampshire Volunteers, under the name of John Stone. Was wounded April 6, 1865, and died on the 22d, at City Point, Va.
CLEMENT, CHARLES A. Son of Moses and Caroline, born in Andover, Feb. 18, 1841. Mustered, July 16, 1861. Private, Co. C, 13th Regiment Infantry. Promoted Corporal. Mortally wounded, July 2, 1863, in battle of Gettysburg. Died, Sept. 30, 1863. Buried in Old South Cemetery, Oct. 14, 1863. FARNHAM, ORRIN L, Son of Jeremiah and Sarah, born in Andover, June 24, 1835. Mustered, July 5, 18(51. Sergeant, Co. H., 1st Heavy Artillery. Promoted Regimental Quarter-Master-Sergeant, Feb. 11, 1862. Promoted 2d Lieutenant, Oct. 25, 1862. Mortally wounded, June 16, 1864, while charging on the rebel works, and died on the 1 7th, at Bryant’s Farm, near Petersburg, Va. Buried in West Parish Cemetery. HARDY, FRANKLIN Son of Isaac M. and Sibyl W., born in Woburn, Feb. 20, 1830. Mustered, July 5, 1861. Private, Co. H., 1st Heavy Artillery. Re-enlisted in the field, Dec. 7, 1863. Killed at Poplar Grove Church, near Petersburg, Va., Oct. 2, 1864. Body not recovered. HATCH, ENOCH M. Son of Jeremiah and Betsey, born in Andover, April 14, 1822. Mustered, July 5, 1861. Private, Co. H., 1st Heavy Artillery. Killed, June 16, 1864, in front of Petersburg, Va. Buried on the field. LUKE, WILLIAM H. Mustered, May 23, 1861. Private, Co. H., 1st Regiment Infantry. Died, Sept. 13, 1862, from wounds received in 2d Battle Bull Run, Aug. 29, 1862. Buried at North Andover. McGURK, BERNARD Son of Owen and Bridget, born in Ireland, May 18, 1826. Mustered, July 5, 1861. Private, Co. H., 1st Heavy Artillery. Re-enlisted in the field, Dec. 7, 1863. Killed at Cold Harbor, Va., June 3, 1864, while on duty with his Company and Regiment supporting a line of pickets. Was buried by his Company on the field. PATRICK, ANDREW K. Son of Andrew K. and Elizabeth, born in Patterson, N. J., Nov. 27, 1847. Mustered, April 21, 1864. Private, Co. K., 59th Infantry. Wounded in the right breast, May 12, 1865, at Spotsylvania, was in Fredericksburg Hospital on 19th same month; has not been heard from since, except by report of his comrades that “he is dead.” Body not recovered. PORTER, THOMAS F. Mustered, Oct. 10, 1861. Private, Co. I., 23d Regiment Infantry, to the credit of North Andover. Reenlisted in the field, Dec. 3, 1863, to the credit of Andover. Died of wounds, April 15, 1864, at Hampton, Va.
WARD, JAMES. Mustered, July 14, 1863. Private, Co. B., 9th Regiment Infantry. Transferred to Co. B., 32d Regiment Infantry. Killed, May 5, 1864, in battle of the Wilderness. 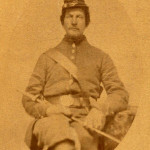 This man was drafted in July, 1863, and was the only man of the seventy-seven who entered the service from that draft. He left town to avoid reporting himself, and was subsequently arrested, and was in some way permitted to go as substitute. WHITTAKER, AMOS. Mustered, Sept. 6, 1861. Private, Co. D., 22d Regiment Infantry. Killed, June 27, 1862, at Gaines’ Mills, Va.
BAGLEY, THOMAS A. Son of Francis and Ann, born in Whitehaven, Cumberland, England, Oct. 6, 1841. Mustered, July 5, 1861. Private, Co. B., 1st Heavy Artillery. Captured near the Weldon Railroad, June 22, 1864. Died, a prisoner of war, at Andersonville, Ga., Aug. 28, 1864. Buried in the trenches. FARMER, GEORGE S. Son of Joseph and Keziah, born in Salem, May 2, 1835. Mustered, July 5, 1861. Corporal, Co. H., 1st Heavy Artillery. Promoted, Sergeant, July 5, 1862. Reenlisted in the field, Jan. 2, 1864, to the credit of Salem. Captured in front of Petersburg, Va. June 22, 1864. Died a prisoner of war at Andersonville, Ga., Sept. 10, 1864. Buried in the trenches. HALL, WILLIAM S. Son of Samuel and Harriet, born in Unity, Me., July 19, 1844, Mustered, July 22, 1862. Private, Co. B., 1st Heavy Artillery. Re-enlisted in the field, Feb. 29, 1864, to the credit of Charlestown, Died, Sept. 30, 1864, a prisoner of war at Andersonville, Ga. Buried in the trenches. McCUSKER, JAMES. Son of James and Elizabeth, born in Ireland, May 5, 1827. Mustered, July 13, 1864. Private, Co, H., 1st Heavy Artillery. Captured by the rebels, Oct. 2, 1864. Died, Dec. 2, 1864, a prisoner of war at Salisbury, N. C. Buried in the trenches. RAYMOND, WALTER L. Son of Samuel and Emily F. M., born in Charlestown, Aug. 23, 1846. Mustered, Sept. 12, 1862. Private Co. G., 44th Regiment Infantry. Discharged, June 18, 1863, by expiration of service. Re-mustered, Jan. 6, 1864. Private, Co. L., new Battalion, 1st Regiment Cavalry. Captured near Malvern Hill, Va., Aug, 16, 1864. Died, a prisoner of war at Salisbury, N.C,, Dec. 25, 1864. Buried in the trenches. WARDMAN, THOMAS. Son of Samuel and Sophia, born in Bradford, England, Aug. 6, 1846. Mustered, Jan. 5, 1864. Private, Co. B., 59th Regiment Infantry. Captured by the rebels July 30, 1864. Died, Dec. 20, 1864, a prisoner of war at Danville, Va. Buried in the trenches. BAILEY, JAMES H, Son of Timothy and Lucy A., born in Andover. Mustered, July 5, 1861. Private, Co. B., 1st Heavy Artillery. Fell from a parapet at Fort Albany, Va., and broke his thigh. Died, Sept. 14, 1861, at Washington, D. C, and was buried there. 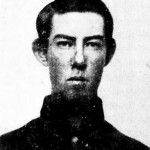 BELL, JOSEPH, Son of Peter and Mary, born in Goffstown, N.H., in 1837. Mustered, July 5, 1861. Private, Co. H., 1st Heavy Artillery, to the credit of North Andover. Re-enlisted in the field to the credit of Andover, Dec. 7, 1863. Promoted Corporal. Wounded near Petersburg, Va., June 22, 1864. Transferred to Veteran Reserve Corps, March 19, 1865. Discharged, Aug. 20, 1865. Found dead in the woods near Lawrence, Sept. 22, 1865. Buried in Lawrence. BLACK, JAMES B. Son of Hugh and Mary F., born in Paisley, Scotland, Dec. 4, 1838. Mustered, Sept. 24, 1861. Private, Co. B., 30th Regiment Infantry. Died, Aug. 30, 1864, at Fortress Monroe, Va.
BODWELL, WILLARD G. Son of Horace and Mary, born in Vermont, near Stansted, C. E., Aug. 22, 1842. Mustered, July 5, 1861. Private, Co. H, 1st Heavy Artillery. Died of disease at Fort Strong, Va., March 24, 1864. Buried near Stansted, Canada East. CALLAHAN, CHARLES, H. Son of James and Catherine K., born in Andover, April 13, 1833. Mustered, Aug. 24, 1861. Private, Co. H., 20th Regiment Infantry. Discharged, April 14, 1862, for disability. Died, May 29, 1862, of disease contracted in service. Buried in South Cemetery. CHANDLER, JOSEPH, Jr. Son of Joseph and Lucy, born in Andover, April 13, 1836. Mustered, Oct, 1, 1861. 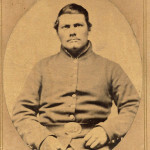 Sergeant, Co. A., 26th Regiment Infantry. Died, March 10, 1863, in St. James’ Hospital, New Orleans, La. Buried, in West Parish Cemetery, May 1, 1863. FRYE, ENOCH 0. Son of Enoch and Lydia B., born in Andover, Nov. 7, 1837. Mustered, July 5, 1861. Private, Co. K., 1st Heavy Artillery. Accidentally killed by the falling of a tree at Fort Albany, near Arlington, Va., Oct. 29, 1861. Buried in West Parish Cemetery. FRYE, NEWTON G. Son of Stephen and Emily G., born in Andover, June 17, 1845. Mustered, July 5, 1861. Drummer, Co. H. , 1st Heavy Artillery. Discharged, Dec. 10, 1862, for disability. Died, March 28, 1863, of disease contracted in service. Buried in West Parish Cemetery. GRANT, GEOEGE W. Son of Benjamin P. and Fannie F., born in Andover, Jan. 27, 1846. Mustered, Aug. 2, 1862. Private, Co. H., 1st Heavy Artillery. Re-enlisted in the field, Jan. 2, 1864. Died of disease, Sept. 7, 1864, in the 2d Corps Field Hospital. Buried in West Parish Cemetery. GREELEY, WILLIAM. Mustered, Oct. 12, 1861. Private, Co. G., 30th Regiment Infantry. Died, Aug. 22, 1862, at Carrolton, La. JACQUITH, JAMES. Son of James and Phebe, born in Andover, March 15, 1818. Mustered, Nov. 16, 1861. Corporal, Co. C, 30th Regiment Infantry. Died of disease, Dec. 1, 1862, at New Orleans. Buried at New Orleans. KAVANAGH, BERNARD. Mustered, July 18, 1861. Private, Co. G., 20th Regiment Infantry. Died, Aug. 24, 1862, at Philadelphia, Pa.
KIMBALL, HENRY G. Son of William and Elizabeth. Mustered, Sept. 12, 1862. Private, Co. G., 44th Regiment Infantry. Died, Jan. 1, 1863, of malarious fever at Newbern, N. C. Buried at Newbern, N. C.
LOGUE, JAMES. Son of Patrick and Bridget. Mustered, July 7, 1862. Private, Co. H., 1st Heavy Artillery; was subsequently rejected on account of height, and was re-mustered, Oct. 1, 1862. Private, Co. G., 48th Regiment Infantry. 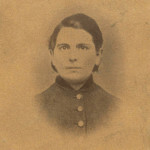 Died, May 11, 1863, at Baton Rouge, La. Body not recovered. LOVEJOY, NEWTON. Son of William B. and Mary Ann, born in Dracut, April 27, 1843. Enlisted, April, 1862. Private, Co. F., 13th U. S. Infantry. Died, July 9, 1863, of disease, in the Hospital of the 15th Army Corps at Vicksburg, Miss. Body not recovered. MASON, JOSIAH. Son of Thomas C. and Phebe, born in Andover, May 30, 1822. Mustered, Sept. 2, 1861. Private, 1st Co. Sharpshooters. Discharged, April 28, 1862, for disability. Died, April 27, 1863, of disease contracted in service. Buried in South Cemetery. McCULLOUGH, JOHN. Born in Ireland, June 7, 1823. Mustered, July 14, 1864. Private, Co. K., 6th Infantry (100 days). Discharged, Oct. 27, 1864, by expiration of service. Died, Dec. 24, 1864, of disease contracted in the service. Buried in the Catholic Cemetery. MERRILL, EDWARD O. Son of Edward S. and Sarah, born in Andover, March 17, 1838. Mustered, Nov. 7, 1861. Private, 4th Battery. Died, Aug. 27, 1862, at Carrolton, La., of congestion of the brain. Body not recovered. MERRILL, JAMES W. Son of James and Susan B., born in Methuen, July 23, 1842. Mustered, Sept. 26, 1862. Private, Co. F., 45th Regiment Infantry. Died, Jan. 20, 1863, at Newbern, N.C. Buried in West Parish Cemetery. PAUL, DAVID E. An assigned Seaman. Born in Nova Scotia. Enlisted, April 18, 1863, for one year. Died, in Chelsea Hospital, May 9, 1863. RAYMOND, JEFFERSON N. Mustered, Sept, 18, 1861. Private, Co. D., 26th Regiment Infantry. Died, Sept. 13, 1862, at New Orleans, La. RICHARDSON, SILAS, Jr. Son of Silas and Sally, born in Charlestown, Jan. 16, 1830. Mustered, July 5, 1861. Private, Co. H., 1st Heavy Artillery. Promoted Corporal, March 11, 1863. Discharged, July 8, 1864, by expiration of service. Died, June, 1874, at Reading, of disease contracted in the service. Buried in South Cemetery. RUSSELL, JAMES. Son of Israel and Isabella, born in Biddeford, Me., Feb. 3, 1846. Mustered, Aug. 4, 1862. Private, Co. H., 1st Heavy Artillery. Died, at Fort Albany, Va., in the Regimental Hospital, Oct. 19, 1862. Buried in South Cemetery. RYLEY, LEONARD W. Mustered, Jan. 5, 1864. Sergeant, Co. B., 59th Regiment Infantry. Transferred to Veteran Reserve Corps, April 25, 1865. Discharged, Died, Aug. 30, 1865, of disease contracted in the service. Buried in the Episcopal Cemetery. Son of Hugh and Jane M., born in Andover, Oct. 12, 1845. Mustered, July 5, 1861. Drummer, Co. H., 1st Heavy Artillery. Died, at Fort Albany, Va., July 25, 1862, of chronic disease, the effects of fever and ague. Buried in South Cemetery. Son of Henry and Angeline G., born in Amesbury, March 25, 1839. Mustered, July 5, 1861. Private, Co. H., 1st Heavy Artillery. Killed, Aug. 1, 1863; accidentally run over by a siege gun on Maryland Heights. Buried in North Andover Cemetery. 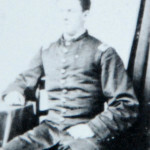 ABBOTT, WILLIAM A, Son of Amos and Esther M. Entered the United States Navy, May, 1861, as Master’s Mate. Served on board the South Carolina, Choctaw, Alabama, Stars and Stripes, and sloops of war, Dale and Ohio; also in the batteries at Portsmouth, N. H. Captured off Cape Hatteras, Aug. 9, 1861. Released, Dec, 1861. Promoted Acting Ensign, Oct., 1862. Wounded in the attack of the Squadron on Haines’ Bluff Batteries in the rear of Vicksburg, Miss. Pensioned for disability. BROWN, GEORGE T. Son of John J. and Emily W., born in Andover, Aug. 5, 1840. Mustered, Aug. 5, 1861. Sergeant, Co. H., 1st Heavy Artillery. Promoted, 2d Lieutenant, Feb. 15, 1862; 1st Lieutenant, Jan. 28, 1863. Wounded and captured in front of Petersburg, Va. Discharged, Oct. 10,1864. Captain, 36th Regiment U. S. Col’d Troops. BROWN, LEROY S. Son of Jacob and Mary, born in Andover, Sept. 2, 1835. Mustered, July 5, 1861. Private, Co. H., 1st Heavy Artillery. Discharged, July 8, 1864, by expiration of service. Wounded, June 16, 1864. BUTLER, WILLIAM. Son of Isaac and Catherine, born in Dennisville, N. J., July 5, 1827. Enlisted, April 3, 1862, on board the iron-clad Pittsburg. Discharged, May 20, 1864. Re-enlisted for two years as a substitute for Moses Foster, Aug. 30, 1864. Served on board the Grand Gulf in the Red River expedition. Wounded in the head at Fort Fisher. Discharged, Feb. 25, 1865, for disability. CHANDLER, GEORGE W. Son of John and Phcbe, born in Andover, Feb. 18, 1842. Mustered, July 5, 1861. Private, Co. H., 1st Heavy Artillery. Discharged, July 8, 1864, by expiration of service. Wounded in the leg, June 16, 1864. CHANDLER, HENRY F. Son of Joshua and Eliza F., born in Andover, Sept. 26, 1835. Mustered, April 21, 1864. Private, Co. K., 59th Regiment Infantry. Discharged, June 8, 1865, for disability. Wounded June 17, 1864, in front of Petersburg, and at Poplar Grove Church, and was discharged by reason of latter wound. CHAPIN, FRANK B. Son of Jarius and Sarah, born in Sudbury, April 30, 1834. Mustered, July 5, 1861. Sergeant, Co. H., 1st Heavy Artillery. Promoted, 2d Lieutenant, Dec. 31, 1862. Discharged for disability, Sept. 17, 1864. Wounded, lost a finger before Petersburg, June 18, 1864. CLARK, JOHN Son of John and Sarah W., born in Mount Desert, Maine, April 11, 1831. Mustered, July 5, 1861. Corporal, Co. HI., 1st Heavy Artillery. 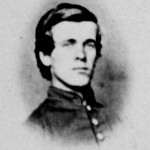 Promoted, Sergeant, May 11, 1863. Re-enlisted in the field Jan. 2, 1864. Promoted, 2d Lieutenant, Aug. 2, 1864; 1st Lieutenant, Aug. 12, 1864, and Captain, April 9, 1865. Discharged, Aug. 16, 1865, by expiration of Service. Wounded in battle June, 16, 1864, at Bryant’s Farm, near Petersburg, Va., by minnie ball entering the right side and passing out at the back-bone. COLLINS, THOMAS E. Mustered, Aug. 21, 1861. Private, Co. B., 1st Regiment Infantry. Discharged, Dec. 1862, for disability. Wounded at Fair Oaks, June 25, 1862. DEARBORN, JOHN S. Son of Nathaniel and Eliza J., born in Andover, Nov. 18, 1844. Mustered, July 22, 1862. Private, Co. H., 1st Heavy Artillery. Re-enlisted in the field, Feb. 29, 1864. Discharged, June 26, 1865, for disability. Lost his right arm at Petersburg, Va., March 25, 1865. GILLESPIE, WILLIAM. Son of Isaac and Catherine D., born in Aberdeen, Scotland, Nov. 15, 1826. Mustered, July 5, 1861. Private, Co. H., 1st Heavy Artillery. Discharged, July 8, 1864, by Expiration of service. Wounded in the hand at Bryant’s Farm, June 16, 1864. Died, Buried in West Parish Cemetery. GOLDSMITH, SANFORD K. Son of Daniel and Rebecca K., born in Wilton. N.H., Jan. 22, 1842. Mustered, July 16, 1861. Private. Co. C, 13th Infantry, to the credit of Boston. Promoted and transferred as 2d Lieutenant to 59th Regiment, Jan. 6, 1854. 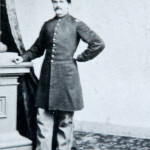 Promoted 1st Lieutenant, June 23, 1864. Promoted Captain by Brevet for “gallantry at Fort Steadman, Va., March 5, 1865, U.S. Vol.” Promoted Captain, March 25, 1865. Discharged. May 15, 1865, by expiration of service. Taken prisoner at 2d Bull Run and at Gettysburg. Wounded at Gettysburg and at Fort Steadman, Va.
GOOCH, JOHN F. Son of John and Elizabeth C, born in Cambridge, June 11, 1843. Mustered, Aug. 4, 1862. Private, Co. H., 1st Heavy Artillery. Re-enlisted in the field, Jan. 2. 1864. Discharged, Aug. 25, 1865, by expiration of service. [Andover Commissioners report him as injured in his “arm” sometime between May 19-June 20, 1864]. GREENE, WILLIAM H. Son of Eaton and Sarah, born in Andover, Jan. 9, 1834. Mustered, July 5, 1861. Private, Co. H., 1st Heavy Artillery. Re-enlisted in the field, Jan. 2, 1864. Discharged, July 31, 1865, by expiration of service. Wounded, June 22, 1864. HASTIE, THOMAS. Son of William and Mary, born in Scotland, May 14, 1832. Mustered, March 10, 1862. Private, Co. H., 1st Heavy Artillery. Discharged, March 10, 1865, by expiration of service. Wounded, June 16, 1864, at Bryant’s Farm. Son of Jonas and Pamelia P., born in Andover, Nov. 15, 1839. Mustered, July 5, 1861. Private, Co. H., 1st Heavy Artillery. Promoted, Corporal, March 1, 1862. Wounded at Cold Harbor, June 12, 1864. Discharged, July 8, 1864, by expiration of service. Son of Benjamin and Betsey, born in Andover, Oct. 14, 1832. Mustered, July 5, 1861. Private, Co. H., 1st Heavy Artillery. Promoted Corporal, Feb. 15, 1862. Promoted Quarter-Master-Sergeant, March 1, 1862. Wounded in the shoulder, June 16, 1864. Discharged, July 8, 1864, by expiration of service. JONES, CHARLES E. Son of Reuben and Rachel S., born in Andover, March 13, 1832. Mustered, Aug. 4, 1862. Private, Co. H., 1st Heavy Artillery. Re-enlisted in the field, Feb. 29, 1864. Wounded in the left arm, June 22, 1864. Discharged, April 27, 1865, for disability. KEATING, JOHN Son of James and Margaret, born in Dublin, Ireland, Feb. 25, 1839. Mustered, June 13, 1861. Private, Co. C, 11th Regiment Infantry. Re-enlisted in the field, Dec. 29, 1863, to the credit of Billerica. Discharged, July 14, 1865, by expiration of service. Died. March 30, 1869. Once slightly wounded. LUSCOMB, AAEON E. Son of Aaron N. and Margaret, born in Andover, July 25, 1840. Mustered, July 22, 1862. Private, Co. H., 1st Heavy Artillery. Re-enlisted in the field, Feb. 29, 1864, to the credit of Charlestown. Discharged, Dec. 19, 1864, for disability. Lost his right arm before Petersburg, June 22, 1864. MASON, WALTER B. Mustered, Nov. 7, 1863. Private, Co. H., 1st Heavy Artillery. Transferred, May 1, 1865, to Veteran Reserve Corps. Wounded in the back, June 16, 1864, at Bryant’s Farm. McLAUGHLIN, JOHN. Son of James and Bridget, born in Ireland, June 7, 1844. Mustered, March 15, 1862. Private, Co. H., 1st Heavy Artillery. Discharged, March 14, 1865, by expiration of service. Wounded in the hip at Bryant’s Farm, June 16, 1864. STOWE, FREDERICK W. Son of Calvin E. and Harriet B., born in Cincinnati, Ohio, May 5, 1840. Mustered, May 23, 1861. Private, Co. A., 1st Regiment Infantry. Promoted Sergeant. Transferred and Promoted 2d Lieutenant 1st Heavy Artillery, Jan. 18, 1862. Promoted A. A. G., rank of Captain, Jan. 27, 1863, and transferred to General Steinwehr’s Brigade. Wounded at Gettysburg. TRULAN, WILLIAM. Son of Hugh and Sarah, born in Andover, July 22, 1823. Mustered, Sept. 26, 1861. Private, Co. K., 22d Regiment Infantry. Wounded, June 27, 1862; sent to the hospital, and returned to the ranks, June 1, 1863. Discharged, Oct. 17, 1864, by expiration of service. WINCHESTER, CHARLES H. Son of Charles and Betsey, born in Tewksbury, Oct. 22, 1828. Mustered, July 31, 1862. Private, Co. H., 1st Heavy Artillery. Wounded, June 16, 1864, at Bryant’s Farm, near Petersburg, Va. Discharged, July 8, 1864, by expiration of service. 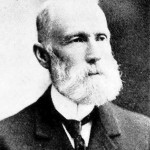 ABBOTT, GEORGE B. Son of Moses. Mustered, Aug. 30, 1862. Co. G., 27th Regiment Infantry. Discharged for disability, Feb. 12, 1863. ABBOTT, WESLEY. Son of Orlando and Lydia C, born in Andover, March 9, 1834. Mustered, Sept. 2, 1861, 1st Co. Sharpshooters. Discharged for disability, caused by typhoid fever, Dec. 8, 1862. BEAL, WILLIAM. Born in England. Mustered, July 5, 1861. Private Co. H., 1st Heavy Artillery. Discharged, July 15, 1862, for disability. CHALK, HENRY T. Mustered, July 5, 1861. Private, Co. I., 1st Heavy Artillery, to the credit of Danvers. Re-enlisted in the field, Dec. 11, 1863, to the credit of Andover. Promoted Corporal Discharged, June 5, 1865, for disability. CHRISTIAN, WILLIAM T. Mustered, Sept. 28, 1861. Corporal, Co. B., 23d Regiment Infantry. Discharged, Jan. 3, 1863, for disability. CLARK, AARON S. Son of Ezekiel and Abigail, born in Methuen, Sept. 22, 1823. Mustered, March 3, 1862. Private, Co. H., 1st Heavy Artillery. Discharged, Jan. 19, 1864, for disability. CRAIG, GEORGE. Son of James and Margaret, born in Ireland, Jan. 8, 1832. Mustered, July 5, 1861. Private, Co. H., 1st Heavy Artillery. Discharged, Nov. 6, 1862, for disability, from Co. B.
CRITCHETT, GEORGE D. Son of Thomas and Eliza C. Mustered, July 12, 1861. Private, Co. B., 15th Regiment Infantry. Discharged, April 21, 1863, for disability. CURRIER, CHARLES. Born in Hill, N. H. Mustered, July 5, 1861. Private, Co. H., 1st Heavy Artillery. Discharged, Dec. 20, 1864, for disability. EELES, FEEDEEICK S. Mustered. Nov. 13, 1861. Private, Co. C, 32d Regiment Infantry. Discharged, Dec. 3, 1862, for disability. HOLT, HARRISON, Son of Stephen and Margaret S., born at Saratoga Springs, N.Y., Aug. 4, 1842. Mustered, May 16, 1863, 2d Lieutenant 55th Regiment Infantry. 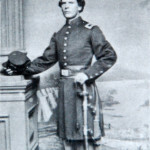 Promoted, 1st Lieutenant, June 7, 1863. Resigned, Oct. 14, 1863. Re-mustered, Nov. 9, 1863, 1st Lieutenant 1st Regiment Cavalry. Discharged, July 26, 1864, for disability. HUNT, AMOS. Mustered, July 5, 1861. Private, Co. H., 1st Heavy Artillery. Discharged, Nov. 24, 1861, for disability. HUNTER, WILLIAM. Son of Ferguson and Bell, born in Scotland, Feb. 26, 1813. Mustered, April 22, 1861. Private, Co. E., 6th Regiment, New Jersey Militia for three months. Discharged, Aug. 14, 1861, by expiration of service. Re-mustered, Sept. 6, 1861. Private, Co. D., 22d Regiment Infantry. Discharged, Dec. 27, 1862, for disability. JENKINS, WILLIAM HARRISON Son of Benjamin and Abigail, born in Buckfield, Me., Sept. 7, 1840. Mustered, July 22, 1862. Private, Co. H., 1st Heavy Artillery. Re-enlisted in the field, Feb. 29, 1864, to the credit of Roxbury. Discharged, July 13, 1865, for disability. MASON, EDWARD. Son of Thomas C. and Phebe, born in Andover, April 19, 1831. Mustered, Nov. 7, 1863. Private, Co. H., 1st Heavy Artillery. Discharged, Oct. 27, 1864, for disability. MASON, WARREN. Son of Thomas C. and Phebe, born in Andover, May 15, 1826. Mustered, Sept. 10, 1861. Private, Co. F., 26th Regiment Infantry. Discharged, July 1862, for disability. Accidentally injured. PARKER, CALEB O. Mustered, July 5, 1861. Private, Co. B., 1st Heavy Artillery. Discharged, April 28, 1864, for disability. Re-mustered, Aug. 8, 1864. Private, Veteran Reserve Corps. Discharged, Oct. 1, 1864. PARKER, GEORGE W. Mustered, Oct. 19, 1861. Private, Co. D., 24th Regiment Infantry. Discharged, April 23, 1863, for disability. PRAY, SEAVER. Mustered, Aug. 27, 1861. Private, Co. K., 20th Regiment Infantry. Discharged, Oct. 31, 1862, for disability. RUSSELL, JOSEPH, Jr. Mustered, July 5, 1861. Private, Co. H., 1st Heavy Artillery. Discharged, Nov. 24, 1861, for disability. SAUNDERS, THOMAS. Mustered, Sept. 2, 1861. Private, Co. E., 24th Regiment Infantry. Discharged, June 10, 1863, for disability. SAUNDERS, ZIBA M. Son of Ziba and Huldah, born in Tewksbury, Feb. 20, 1840. Mustered, July 5, 1861. Private, Co. H., 1st Heavy Artillery. Discharged, July 8, 1864, by expiration of service. In hospital much of the time, sick. STANDING, GEORGE Son of William and Mary, born in England, 1828. Mustered, Dec. 13, 1861. Private, Co. F., 28th Regiment Infantry, to the credit of Lawrence. Re-enlisted in the field, Jan. 2, 1864, to the credit of Andover. Discharged, May 12, 1865, for disability. STEPHENS, GEOEGE W. Son of Thomas, born in Mt. Gilead, Ohio, Jan. 22, 1843. Mustered, July 22, 1862. Private, Co. H, 1st Heavy Artillery. Discharged, July 8, 1864, by expiration of service. Lamed by accident, not in battle. STEVENS, JAMES W. Mustered, July 5, 1861. Private, Co. F., 1st Heavy Artillery. Discharged, April 9, 1864, for disability. STOTT, JOSHUA H. Son of James and Phebe, born in Canada, Sept. 1, 1824. Mustered, Oct. 5, 1861. Private, Co. G., 1st Regiment Cavalry. Transferred to Veteran Reserve Corps, Jan. 15, 1864. Discharged, Oct. 1, 1864. Was hurt by the falling of his horse, July 10, 1863; was sent to hospital, where he remained until transferred to V. R. C.
WARDWELL, ALFRED. Son of Simon and Margaret E. F., born in Andover, Dec. 9, 1841. Mustered, July 5, 1861. Private, Co. H., 1st Heavy Artillery. Discharged, Nov. 7, 1861, for disability. BRADY, JAMES L. Mustered, July 5, 1861. Private, Co. I., 1st Heavy Artillery. Discharged, July 8, 1864, by expiration of service. This man is said to have been captured by the rebels on the 22d of June, 1864, since which nothing has been heard from him. 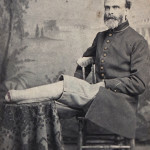 A James L. Brady is reported from the Adjutant-General’s Office, Jan. 17, 1862, as from Andover, on the rolls of the 17th Regiment as a recruit, mustered, Aug. 9, 186 1. See, also, James Brady of Lawrence, Co. I., 17th Regiment. SKERRITT, JAMES. Mustered, Nov. 21, 1863. Private, Co. F., 19th Regiment Infantry. Captured by the rebels, July 22, 1864. Paroled at Salisbury, N. C, on termination of the war. Discharged, July 24, 1865, by expiration of service. TOWNLEY, JOHN J. Mustered, June 26, 1861. Private, Co. A., 12th Regiment Infantry. Deserted, Feb. 28, 1863. Said to have been taken prisoner at Bull Run. Paroled on exchange, and not Heard from since. WOODLIN, ELGIN. Son of William H. and Rebecca M., born in Andover, Nov. 17, 1842. Mustered, June 13, 1861. Private, Co. H., 11th Regiment Infantry. Was reported from the Adjutant-General’s office as having deserted Oct. 16, 1863; but it was subsequently ascertained that he was captured with forty others of his Regiment by Stuart’s Cavalry two days before, and taken to Libby Prison, thence to Andersonville, thence to Millen, on the advance of Sherman, thence to Savannah, where he escaped on a dead man’s parole, after thirteen months imprisonment, during which time all but about half a dozen of those captured with him died. Discharged, June 24, 1864, by expiration of service. Died, at Great Falls, N. H., May 1870, from injuries received while in the employ of the Boston and Maine Railroad.